MS SharePoint is basically an application or a program.You can consider SharePoint as a platform and we can use it to do the thing it does best which is to build powerful websites that have some features that allow us to work together in such a way that we hadn’t previously fantasized.SharePoint is a product that is generally installed on a server.Because of this reason, we do not need to install SharePoint on our local desktop. 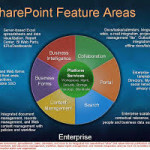 At BigClasses.com we provide SharePoint online training for learners who are interested to learn SharePoint web application. Not only from India, we have our students in abroad also. We provide flexible online sessions timings for the learners which are very user-friendly and easy to understand. 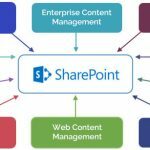 SharePoint itself exists on a server and we then connect to that server using a browser from your PC or Laptop or desktop; or from a tablet or from any mobile device.But for many of us, our first outline of SharePoint and the primary approach that we use SharePoint are not using a browser. 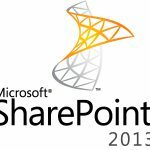 We use it via the Office products that we have used already.BigClasses’s SharePoint training will also explain it. In our SharePoint online training, our expert trainers will explain to you how SharePoint offers a great search ability that allows us to drive and search all the content that we have already created.But because of we have collected all of this content in one residence; we also have the capacity to increase insights from it.By our SharePoint training, you will learn that we can combine information about the content we have whether we are gathering info out of a database or getting the info from some list that we are keeping now.We have to do some steady kinds of reporting about the info that we are keeping in SharePoint.